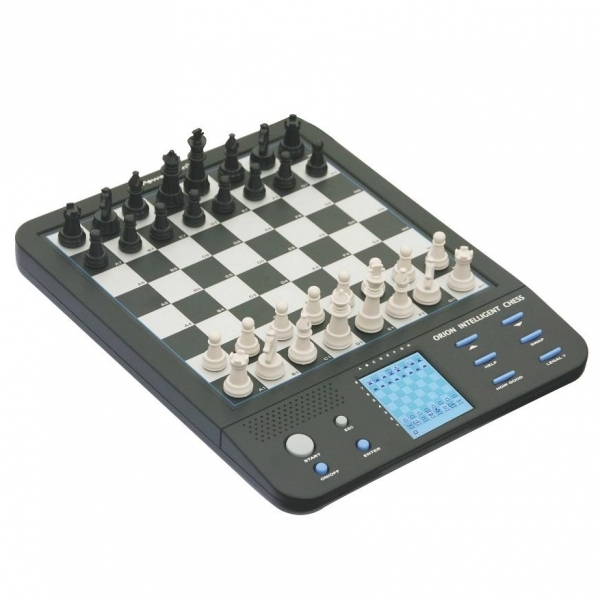 This handheld Chess Computer is ideal for learning the game, or simply playing a computer chess game. This is a beginner chess computer and is perfect for people, young and old alike who are learning how to play chess. Playing against a chess computer is a great way to learn how to advance your game. Practice your openings, middle and end games by either playing the Computer, or doing any of the practice challenges. Overall Board Dimensions: 7" x 7"
Overall Dimensions: 8" x 10" x 1"